On Friday, October 19, the African American Studies program will be pleased to welcome on campus a distinguished romance novelist, AlTonya Washington. She will be visiting with Dr. Conseula Francis’ English 364 class which is focused on Black Women Writers. After class, all African American Studies students are invited to attend a lunch discussion with Ms. Washington in the 9 College Way conference room at noon. 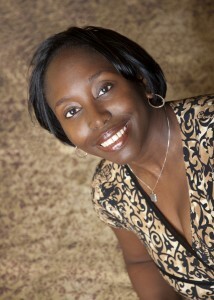 “AlTonya Washington has been a romance novelist for 9 years. Her novel Finding Love Again won the Romantic Times Reviewer’s Choice Award for Best Multicultural Romance in 2004. What is the Model AU? It is a simulation of the proceedings of the African Union. It gives students a chance to study and experience the role, structure, and activities of the AU in the search for solutions to key economic, social, and political-security issues facing Africa. Students will come away with a better understanding of how African domestic politics intersects with its foreign policies, and the patterns of conflict and cooperation in Africa’s international relations. Students will also have a chance to meet with African diplomats at their embassies in Washington, D.C. The Model AU will take place from February 21-24 (which really means being away Feb 20-24) at Howard University in Washington, D.C. This year, CofC will be representing North Sudan and Burundi.